For centuries, Christians have taken this season to focus on the powerful and beautiful reality that Christ came to dwell among his people. Advent not only focuses on Christ’s birth, His first coming but also on Christ’s second coming, which will take place in the future. 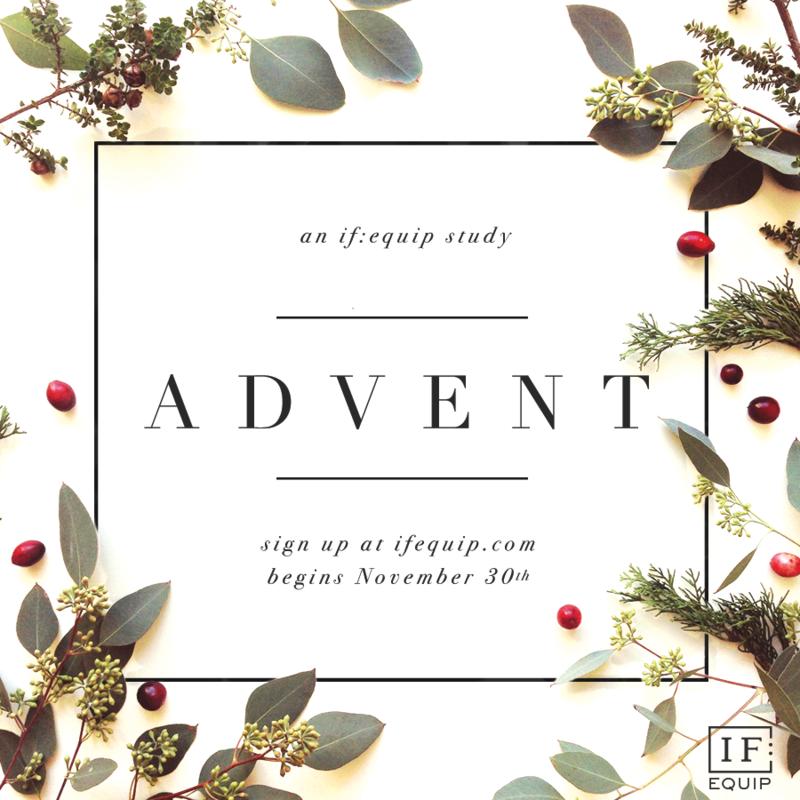 We invite you to join us at IF:Equip as we read classical prayers, hymns and passages from the whole breadth of Scripture for our four-week Advent Study. HOPE, PEACE & PREPARATION, JOY and LOVE. It is our prayer that this study will bring us all into the presence of our Savior and that together we will rejoice over his birth and long for His coming. We will begin this study on Monday, November 30th. In the meantime, we will be sending you other material to engage your mind in Scripture, equip you for this season, and update you about the latest happening at IF:Gathering. Download the 5-Day Kickstarter to Discipleship FREE when you enter your email below.